The University of Southampton is to start new research that aims to improve the recovery time and survival rates of people with diabetes who undergo heart surgery. Diabetes is particularly common in people having heart surgery and those whose diabetes is not well-controlled tend to recover more slowly and have a higher risk of developing post-operative infections - both chest infections and in their surgical wounds. After surgery, it is estimated that people with diabetes need to stay in hospital for nearly 50% longer than people without diabetes and people with diabetes are 50% more likely to die after surgery. 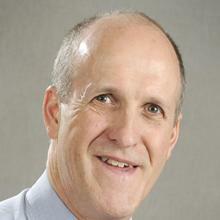 The trial is new research led by Professor Richard Holt (Professor in Diabetes and Endocrinology within Medicine at the University of Southampton) that aims to improve the recovery time and survival rates of people with diabetes who undergo heart surgery. The trial is funded by the 'National Institute for Health Research (NIHR). The trial is sponsored by University Hospital Southampton NHS Foundation trust and is being managed though the Southampton Clinical Trials Unit (SCTU) which is based within the University of Southampton. Previous research has shown that improving diabetes management in the weeks before surgery can reduce the length of stay for people receiving joint replacements and the University of Southampton team are looking to adapt this approach for use with people undergoing heart operations. “Diabetes is becoming increasingly common. There are now around 4 million people living with diabetes mellitus in the UK compared with 1.4 million in 1996. "Being a person with diabetes doubles the risk of developing cardiovascular disease and in general the poorer the control of blood sugar, the more likely cardiovascular disease is to develop. Cardiovascular disease is more aggressive and progresses more rapidly in people with diabetes, which may explain why up to 35% of those presenting for elective cardiac revascularisation have diabetes. 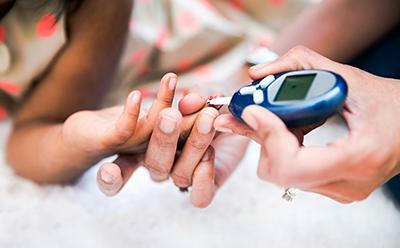 "Once a patient attends for surgery, the problems of having diabetes continue. When the patient’s blood sugar is persistently high, there is a higher risk of infection, both of the surgical wounds and of the lung and bladder which can occur after any operation. These problems lead to a longer recovery period following the operation, resulting in a longer length of stay in the hospital while most patients would rather recuperate at home if possible. The increasing number of people with diabetes mellitus in the UK will increase the demand for cardiac surgery in the future. The longer lengths of hospital stay and higher readmission rates place a large financial burden on the NHS, and give the patient a less satisfactory experience. If the pre-operative intervention is successful in improving glucose control and other aspects of diabetes management, this may reduce the complication rates for such operations and improve outcomes for these people with diabetes. The study will begin with 20 patients in Southampton and after initial work will be expanded to 10 - 15 cardiothoracic surgery centres around the UK involving over 300 further patients. Patients who believe they are suitable for the study should discuss this with their cardiac surgeon.